Keeping a marriage together over the long haul is hard work. My husband and I can attest to that as we have been married for many years. In fact, I’ve been with him longer than I’ve been without him. Sure, it hasn’t been all sunshine and rainbows. However, over the years we’ve learned to deal with the hard stuff, including money. Unfortunately, many couples have a hard time dealing with their finances together. Differences in opinion often arise about budgets, spending, investing, and other money matters. This causes stress and even fighting between partners. But it doesn’t have to be that way. 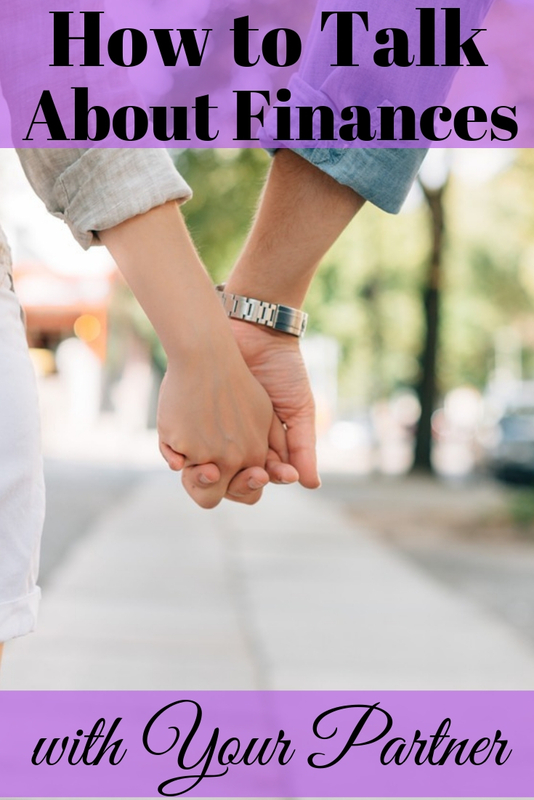 You can calmly talk about finances with your partner if you use some of the tips below. Having a date centered on money might sound a bit strange. It’s definitely not romantic, but it can be beneficial. Setting a specific time to talk can ease fears and prevent arguments from occurring. If you have kids, start by getting a sitter for them. Or, let them stay with a friend or relative away from where the conversation will happen. This ensures you will have the privacy you need to discuss money issues together. It also prevents you from having distractions while you talk. Make sure both you and your partner are well rested before your money date. This is another way to talk about finances with your significant other with less chance of conflict. It’s frequently been said that money is one of the things most couples fight about. In fact, according to Business Insider, finances are one of the most common things couples have conflict over. But you can take the strain out of your relationship when it comes to money. One way you can talk about finances effectively as a couple is to listen to your partner instead of talking. In other words, be a good listener and don’t interrupt. Ask your spouse or significant other what is important to them in terms of buying, saving, investing, etc. For example, if they are a spender, ask them what motivates this habit. It could be one of the most productive conversations you’ll have about money. To change your financial situation for the better, you need to be open with your own views about money. That requires you to put in your two cents worth, so to speak, and talk about finances with your partner. Share your money goals, both short term and long term. Be honest about your money failings. Even if some of what you say is difficult or negative, getting it out there in the open is important. Taking the emotion out of the conversation when you talk about finances can be difficult. At the same time, it’s important that you do this in order to avoid a money fight. Don’t play the blame game. Each person has right to their own opinion and blaming each other isn’t productive and will only start a fight. Instead, try to work together to help each other overcome money issues. Find out what each other’s fears are when it comes to money. If at any point you feel anger or resentment starting to build, stop the conversation. Comprising is one of the ways my husband and I have stayed married for so long. We discuss our finances and money issues together with a give and take attitude. What’s more, when money problems come up, we tackle them as a team. Handling money issues together takes the weight off one another because we aren’t hiding anything. There are times you can’t talk about finances with your partner and solve the issues by yourselves. When you recognize this, it’s time to get outside help. If you have a trusted relative or friend who can keep your concerns private, you could seek help there. Alternatively, you might have to hire a financial planner. Either way, getting help is a better alternative than hiring a divorce lawyer later because problems couldn’t be reconciled. Having a lasting relationship with your significant other means money issues will probably come up at some point. But that doesn’t mean you have to fight about finances or let money come between you. As you can see, it is possible to talk about finances with your partner and solve money difficulties. 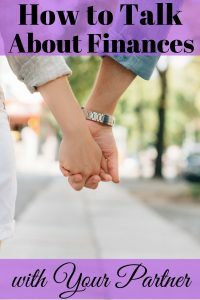 Have you had to talk about finances with your partner? How did that work out for you? Thanks for such a useful post. Actually this is a problem in a married couple. Sometimes they can’t express their feeling or views in financial matters. That’s right. It isn’t always easy to tell each other how you feel about your finances. It can cause fights, and worse, if not resolved. This is probably the best blog. So, the point you mentioned is learning to compromise. It plays a vital role in your life together. I agree. It takes compassion, compromise, and communication. I always say, the three C’s. This blog is such an amazing blog. I got to learn so many new things on how can I talk with my wife regarding not only finances, but also about other topics of life. Thank you for such a wonderful article. You’re welcome. We’re glad to help!